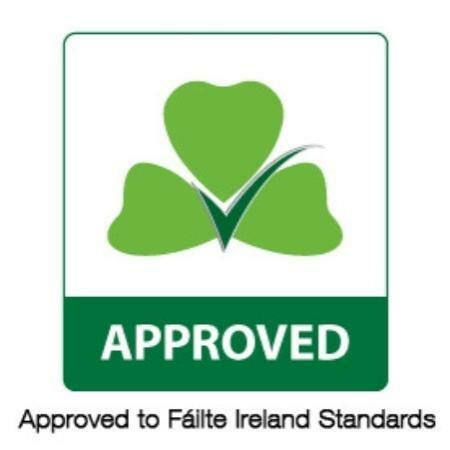 The Cliffs of Moher are one of Ireland’s top Visitor attractions and are a designated UNESCO Geo Park. The Cliffs are 214m high at the highest point and range for 8 kilometres over the Atlantic Ocean on the western seaboard of County Clare. O’Brien’s Tower stands proudly on a headland of the majestic Cliffs. From the Cliffs one can see the Aran Islands, Galway Bay, as well as The Twelve Pins, the Maum Turk Mountains in Connemara and Loop Head to the South. 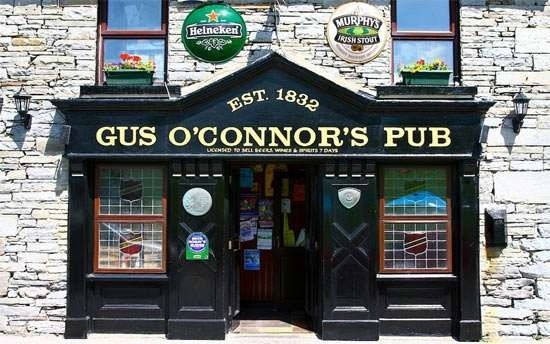 Patrick and staff welcome you to one of the most famous pubs in Ireland. 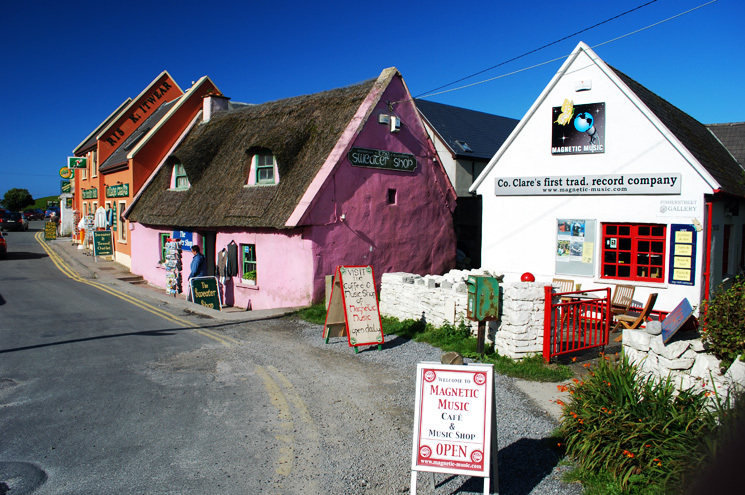 The pub is located in the heart of the picturesque village of Doolin, set amongst the rolling hills of West Clare, a stones throw from the Atlantic Ocean. Located in the unique Burren, this new visitors’ centre provides visitors with an overview of the area and its unique landscape, its rich human history and its famous flora. Elaborate audio – visual presentation; synchronised large scale slide panoramas with soundscapes in 3 specially created environments. 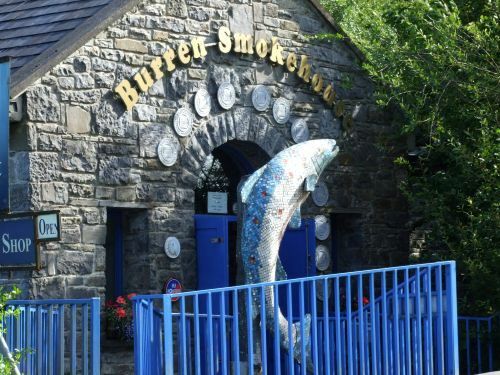 The Burren Smokehouse produce oak-smoked Irish Atlantic Salmon. The ancient tradition is explained in their new visitors centre. Gourmet and Craft Shop as well as an Audio-visual in English, German, French and Italian. The Burren Display Centre (Brú na Bóirne) has a new design which will bring to life the dramatic and fascinating story of the Burren through models, slides, artifacts and information. There is an admission charge. 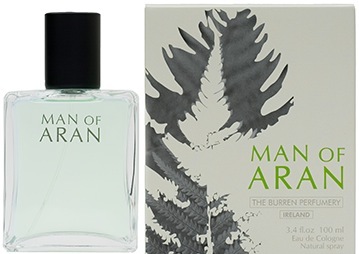 The Burren Perfumery and Floral Centre is Ireland’s oldest perfumery Shop and boasts an outstanding audio visual and photographic exhibition. Liscannor Stone is the name given to a variety of 300 million year old flagstones and sandstones that are risen from the lands in the region. The stone bears the fossil tracks of Marine animals thar lived millions of years ago. 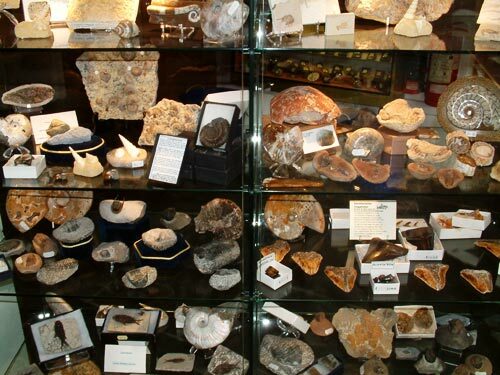 The Visitors Centre includes: an audio-visual display that highlights the fascinating history of Liscannor stone and the ‘Rock Shop’ which displays precious and semi-precious stones from Ireland and all over the world. Almost everyone of the Earth’s natural treasures is on sale here. 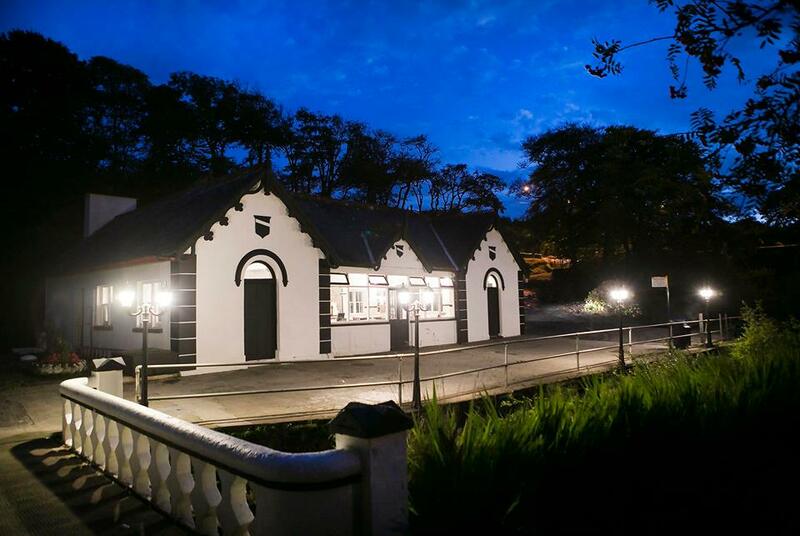 Craigaunowen is Ireland’s original prize-winning centre dedicated to interpreting the Pre-historic and early Christian eras. 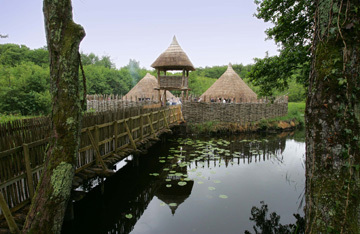 Exhibits range from Bronze Age homesteads to Celtic Chieftain’s residences. The “Brendan”, a recreation of the type of leather currachs used by St. Brendan the Navigator in 6th century is located here. locaged 4km from Doolin. Famous for its unique mineral baths, the centre features sulphur baths, etc.